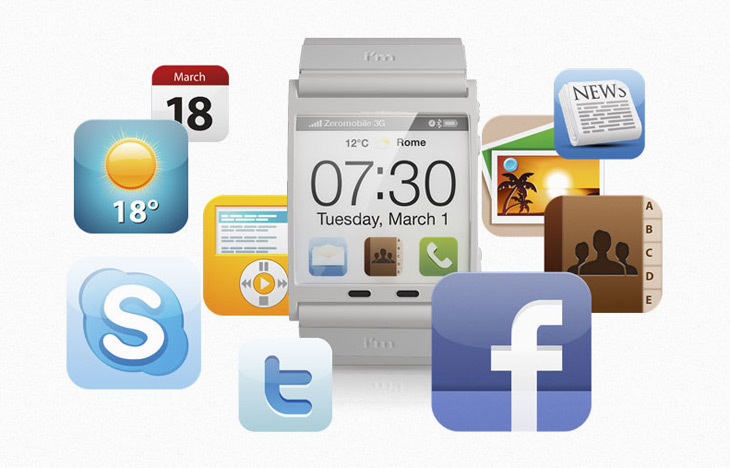 We have seen the multi-touch watch kits (TikTok and LunaTik) for iPod Nano that came to life a while back. Now comes world’s first smartwatch: i’mWatch. The most common operating system in the world with performances never seen before on such a small device. Intuitive interface, rock-solid stability and amazing functionalities. The operating system is the heart of i’mWatch. A surprising result that will leave you lost for words. It only takes a few steps to learn how to use it: it is simple and intuitive. Just touch, drag, swipe or pinch to use all the functionalities or open any of the apps, preinstalled or downloadable from i’mstore. i’mWatch displays time both analogue and digital formats. It can receive calls showing caller’s name and number and enables you to decide whether to accept or decline a call without reaching to your phone on the pocket. It can be used as speaker phone, view/receive text and email messages, check weather forecast, and catch-up (via notifications) with friends on Facebook, Twitter and Foursquare besides listening to music and watching photos of your loved ones. i’mWatch is touch enabled and multitasking. It comes with 1.54” (diagonal) colour TFT display with 240×240 pixel resolution (220 pixel per inch), 64MB RAM and 4GB Flash Drive. It has built-in 3.5 mm headphone, connection and power minijack, microphone and a speaker. 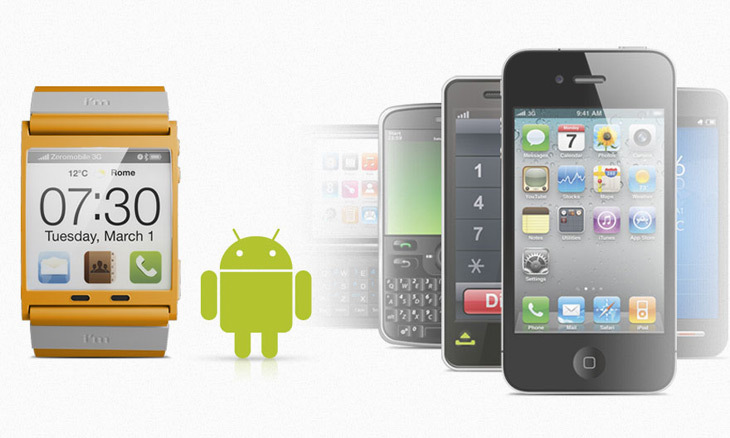 The watch is compatible with iPhone 4, Android devices and Black Berry with Bluetooth 2.1 + EDR wireless technologies. 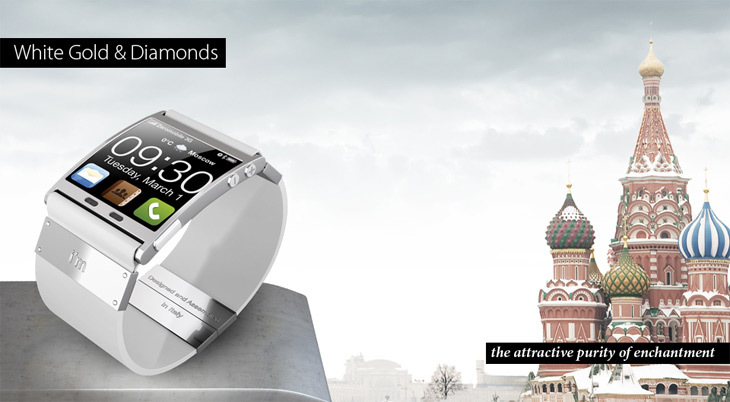 The watch is available in variety of colors and as jewelry with – designed and assembled in Italy. It is interesting to see how quickly technology and our needs are converging into new products and concepts – refining or redefining our habits and experiences. I’ve been quite happily reading digital magazines such as Bak, FF3300, Destructed and Proteus on my computer monitor for quite some time now. Issue took online publishing to another level by providing a platform to deliver exceptional reading experiences. All of this is enough to indicate where things are heading in near future. Amazon’s Kindle, Sony Reader, and Fujitsu’s FLEPia have already added new dimension to this. Earlier this year Amzon brought Kindle to mobile platform, extending its reach but at the same time pushing competition into a new direction … I’m not talking about business here rather prospects of combining advance interaction, normally seen on advance mobile phone devices such as iPhone, HTC HD2, Palm Pre, Else Intuition etc with conventional reading experience. In other words, refining and redefining reading experience on handheld digital devices. 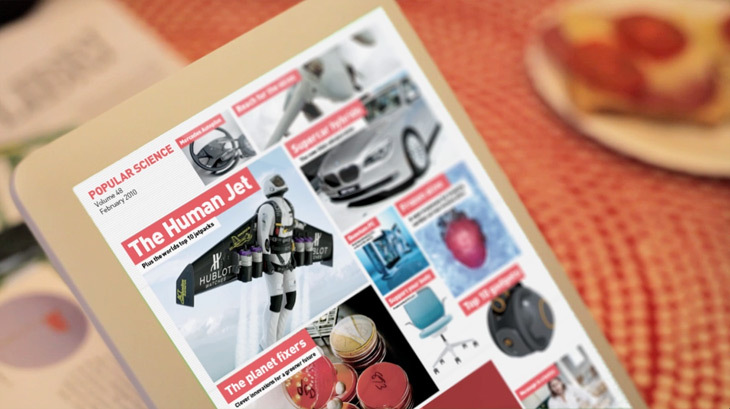 Bonnier and BERG collaborated to illustrate such a concept in Mag+, aiming to capture the essence of magazine reading, they compiled a video demo of a digital magazine on a touch tablet. 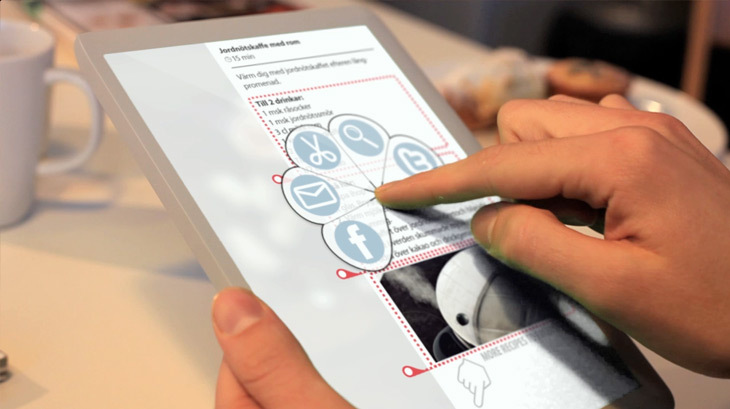 The video demos how magazines like Bonnier’s Popular Science can be adopted for a handheld multi-touch screen device with gesture based browsing and non-obtrusive interface that you only see when you actually want to. With publishers collaborating and preparing for digital future and technology advancements, any such product is not a dream anymore. I can hope to see it alive within a year or two. Gizmodo.com couldn’t find a decent title for their HTC HD2 review so they called it ‘A Tragedy’! This is one of the absurd product review titles I’ve ever seen read – setting a biased tone in advance for the product and then building whole story on the one and only trade-off. Yes, we know it is WinMo and nobody loves it and yes, HTC is hiding it with its own UI but – where is the tragedy? I’m not kind of a Mac-fanatic who would look at this phone with disbelief nor have loyalties to Windows for whatever reason but for heaven’s sake have something solid before building negativity around something that genuinely deserves good. And yes, thanks but no thanks to the Gizmodo author for suggesting to wait for Android-powered Xperia X10 from Sony. I have no interest buying a cell phone with three years old product design running some Windows Media Center type application.